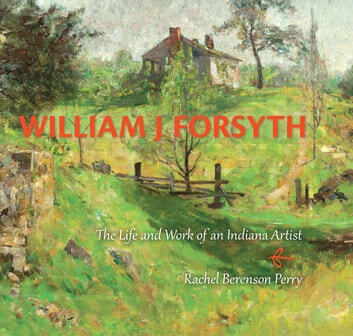 Closely associated with artists such as T. C. Steele and J. Ottis Adams, William J. Forsyth studied at the Royal Academy in Munich then returned home to paint what he knew best—the Indiana landscape. It proved a rewarding subject. His paintings were exhibited nationally and received major awards. With full-color reproductions of Forsyth’s most important paintings and previously unpublished photographs of the artist and his work, this book showcases Forsyth’s fearless experiments with artistic styles and subjects. Drawing on his personal letters and other sources, Rachel Berenson Perry discusses Forsyth and his art and offers fascinating insights into his personality, his relationships with his students, and his lifelong devotion to teaching and educating the public about the importance of art.